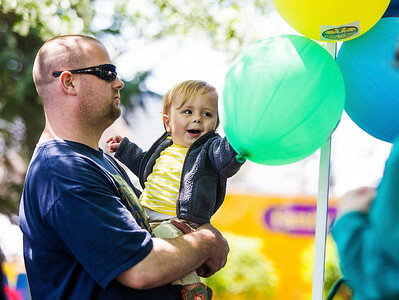 Kyle Grillot - kgrillot@shawmedia.com Chris Koderca of Racine holds his son Trent, 2, while he plays with balloons during the 46th Annual Fair Diddley Craft Show Sunday May, 18, 2014 in Woodstock. The work of over 300 exhibitors is displayed along with a bake and plant sale. 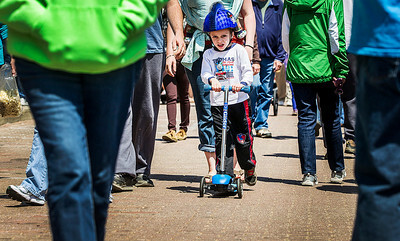 Kyle Grillot - kgrillot@shawmedia.com Lincoln Scatena, 4, of McHenry makes his way through the crowded streets during the 46th Annual Fair Diddley Craft Show Sunday May, 18, 2014 in Woodstock. The work of over 300 exhibitors is displayed along with a bake and plant sale. Kyle Grillot - kgrillot@shawmedia.com Larry Stoneking of Joliet makes adjustments on a wind chime for a customer during the 46th Annual Fair Diddley Craft Show Sunday May, 18, 2014 in Woodstock. The work of over 300 exhibitors is displayed along with a bake and plant sale. 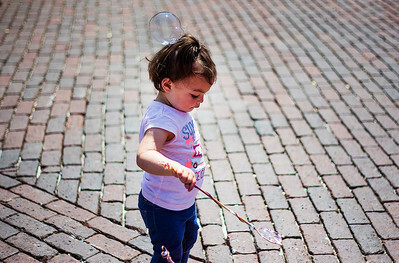 Kyle Grillot - kgrillot@shawmedia.com Lily Fong, 1, of Gurnee plays with bubbles on the Woodstock Square during the 46th Annual Fair Diddley Craft Show Sunday May, 18, 2014 in Woodstock. The work of over 300 exhibitors is displayed along with a bake and plant sale. 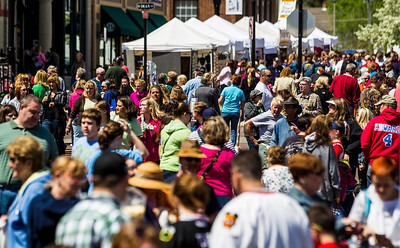 Kyle Grillot - kgrillot@shawmedia.com Spectators gather in the Woodstock Square for the 46th Annual Fair Diddley Craft Show Sunday May, 18, 2014 in Woodstock. The work of over 300 exhibitors is displayed along with a bake and plant sale. 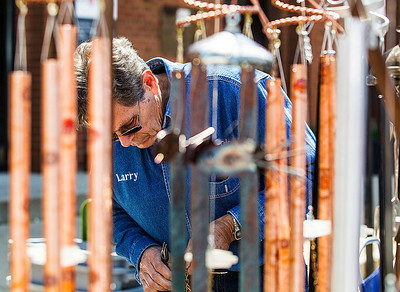 Larry Stoneking of Joliet makes adjustments on a wind chime for a customer during the 46th Annual Fair Diddley Craft Show Sunday May, 18, 2014 in Woodstock. The work of over 300 exhibitors is displayed along with a bake and plant sale.